P.R.A. agency created and submitted Science-Technology Park Communication strategy, as well as the Commiunication Action Plan. Within the same project, P.R.A. agency has realized Communication and Media trainings for the Science-technology Park management board members and other Park team members. 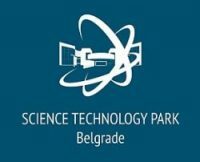 Science-technology Park was founded by the Ministry of Education, Science and Technological Development, Belgrade University and the City of Belgrade. In the last few years, it has been intensively developed into the new technological core of the City, which brings together technological development companies, both domestic and foreign, and encourages the establishment of start-ups, creating a favorable environment for innovation, technological development and competitiveness. Today, there is a large number of companies in the Park, which operate in the field of information technologies, biomedicine, environmental protection, energy efficiency, nanoscience, agriculture and food and other fields, which together constitute an innovation ecosystem – an interactive community that combines technological development with science, research and education.